Got a sweet tooth that can’t be tamed? How about some dark chocolate? Not only is it a luxurious way to satisfy a craving, but it is also a sweet you don’t have to feel guilty about, regardless of your age. You know how much a healthy diet affects your long-term health. Many seniors have jumped on the dark chocolate bandwagon as a result of its health boost. “Men and women age 55 and over now make up the bulk of dark chocolate consumers,” says AARP. Read on to find out just how good this subtle sugar boost can be for your body, as well as your taste buds. 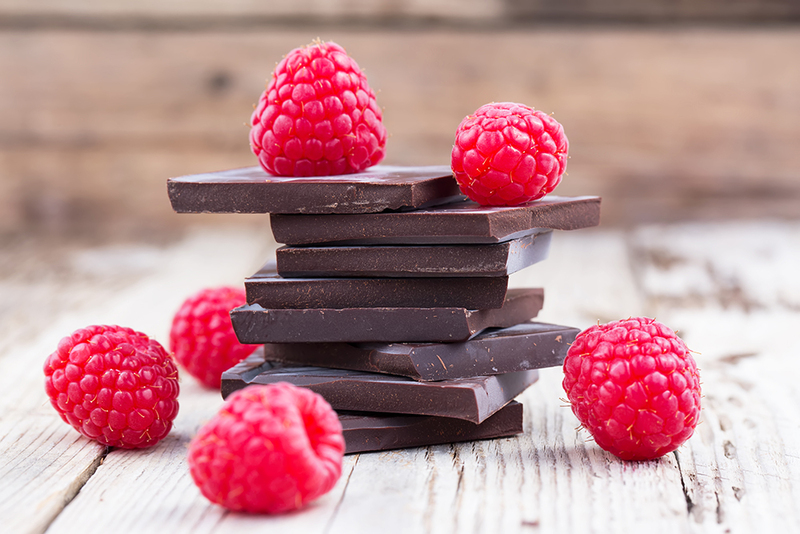 Dark chocolate works overtime when it comes to inflammation. Louisiana State University Researcher Maria Moore says eating dark chocolate causes good bacteria to grow and ferment, “producing compounds that are anti-inflammatory.” Chronic inflammation has been connected to lung problems and Alzheimer’s disease – all the more reason to fight it with some dark chocolate. We often hear antioxidants are good, but what do they do for the body, and how does dark chocolate play a part? Antioxidants help fight free radicals, which damage cells and can lead to major health problems down the road, such as Alzheimer’s disease and cancer. While many fruits, nuts, and vegetables are known for being full of antioxidants, studies have shown dark chocolate has more antioxidants than some fruits. Lower blood pressure is yet another reason to indulge in this sweet treat. According to a Harvard study, flavonoids found in dark chocolate can cause your blood vessels to dilate, leading to better circulation. Researchers also found that chocolate helps improve cholesterol levels and prevent cardiovascular disease. Dark chocolate can help you feel better and think better. When blood vessels dilate, oxygen and blood have an easier time reaching the brain. If you’re having a slow day at the office or need an energy boost that won’t make you crash hard later on, dark chocolate might just be the answer. Normally we associate junk food with acne and breakouts, but that’s where dark chocolate is different. The flavonoids mentioned earlier can protect your skin by absorbing UV light. Dark chocolate can also increase blood flow to your skin, improve hydration, and reduce stress hormones that cause wrinkles. Talk about putting your sweet tooth to good use! Just be sure to go for a small serving of dark chocolate with a high cacao percentage. Chocolate in the 60 to 70 percent cacao range is perfect. The darker the chocolate, the less sugar and milk fat you’ll consume. Next time you’re craving a sweet treat, go for the dark chocolate. It’s a sweet treat with some equally sweet health benefits.